The forces of darkness seem like they're everywhere in Victoria Island, and the Kingdom of Tria hatches an ambitious plan to counter them: Construct a staging ground that cannot be ambushed, a weapon that cannot be matched, a warship that defines air superiority: The Sky Fortress! Upon reaching Lv. 50, regardless of your progress in the main Epic storyline, you will be able to accept the "After the Attack on Tria" quest and get underway launching the Sky Fortress. Once aboard and aloft, you'll be introduced to the five leaders that have sworn to protect Tria at all costs. The Sky Fortress is commanded by the Maple Alliance, a union of four mighty factions led by the stalwart Captain Veliche. With Victoria Island in peril, these groups have come together to better organize and more quickly respond to problems, wherever they may arise. Green Hoods: Available from the start. Lumiknights: Available from the start. Dark Wind: Available when your reputation for Green Hoods and Lumiknights is Trusted (Lv. 2). Achievable in 1 week. Royal Guard: Available when your reputation for Dark Wind is Trusted (Lv. 2). Achievable in 2 weeks. Maple Alliance: Available when your reputation for Royal Guard is Trusted (Lv. 2). Achievable in 3 weeks. Tokens are for more than just being shiny, of course. You can take your accumulated tokens to the faction leaders aboard the Sky Fortress for a selection of prizes, including crystals, Bonus Value Re-Rollers, Exquisite Item Boxes and cosmetic items with your favorite faction's flair! The Soul Binder is a powerhouse of deep, spiritual magic: animus. Taught in the mysterious Halo Mountains, she holds an ancient power, one that her body is not yet able to fully control. 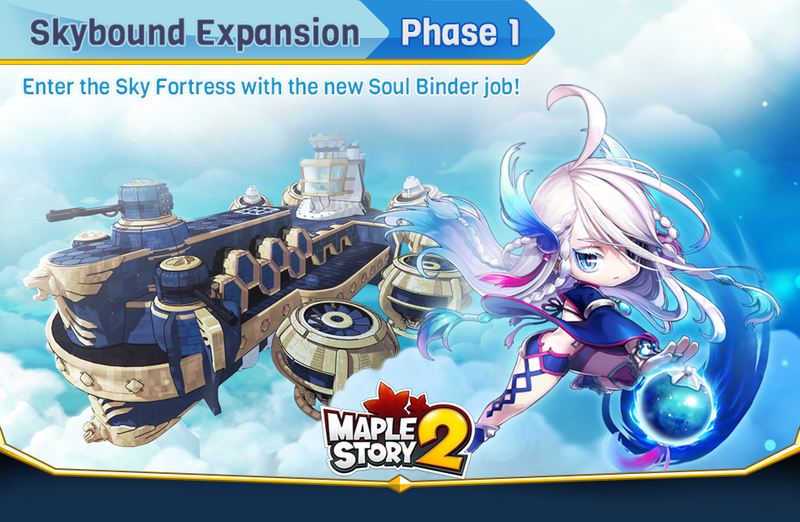 With the darkness growing and an old enemy on the rise to destroy the school of Guidance, the Soul Binder must grow into her strength and join the battle for Maple World. The Soul Binder fights best when powered by Mantra Cores, orbs that float around that she can use to empower her other spells. Turn the*Expansion Blast*from a small marble to a boulder crashing through the enemy, or get near your friends and give them a burst of health with*Healing Bond! *Flexible in support and powerful on offense, the Soul Binder is a spellcaster that any group would do well to stay near. And don't worry if you've filled up all your character slots but want to try out Soul Binder: We're giving all players an additional Free Character Slot, and an extra purchasable character slot to boot! You can now have up to 7 characters per region for free, and up to 11 with the purchase of 1-Slot Character Cards! Gather energy from your surroundings to form and launch an orb at the nearest enemy up to 7.5m in front of you, dealing 38\% damage. Keep pressing the key to trigger a 3-hit combo. The third strike launches an enemy orb that explodes upon collision, dealing 170\% damage to 5 enemies within a 2.25m radius. Consume 40 stamina to release a mysterious aura from your body and rush forward 4.5m, leading an afterimage in your wake. Gain 50 evasion while moving. The skill can both be canceled and triggered immediately while using other skills. You are immune to knockback while this skill is active. Concentrate life energy in the palms of your hands, then launch a salvo of orbs at the nearest enemy within 7.5m, dealing 58\% damage 4 times. Each orb that collides with an enemy ricoches 4 times on to other enemies within a 3m radius, dealing 58\% damage. Energy orbs do not damage the same target twice. Harness your animus energy to forge a shield that lasts for 4 sec and absorbs damage equivalent to 10\% of your max health. This shield does not stack with other protective shield effects. Consumes all Mantra Cores. Skill effects are activated and enhanced in proportion to the number of Mantra Cores consumed. 30 sec cooldown. Condense the energy of Narubashan into a powerful, one-meter-wide electric energy orb and shoot it 7.5m forward, dealing 625\% damage to up to 8 enemies in its path. The orb also shocks targets, dealing an additional 20\% electric damage every sec for 3 sec. Consumes all Mantra Cores. Skill effects are activated and enhanced in proportion to the number of Mantra Cores consumed. Consumes 4 Spirit. 8 sec cooldown. Shift the flow of the atmosphere to create a whirlwind 6m in front fo you. The whirlwind rages every 0.2 sec for a total of 4 times, dealing 23\% damage to up to 8 enemies in a 3m radius and gathering them at its center. After 1s, the dense energy in the eye of the whirlwind explodes, dealing 68\% damage to up to 8 enemies within a 3m radius and decreasing their accuracy and evasion by 1. 15 sec cooldown. Harmonize more effectively with your Mantra Orbs thanks to your valuable lessons from Guidance. Increases the strength of your weapon attack by 1\% when you have an orb equipped. Restore your health and the health of up to 4 allies within a 3m radius by 85\% of your magic attack by harnessing nature's pure energy. Consumes all Mantra Cores. Skill effects are activated and enhanced in proportion to the number of Mantra Cores consumed. Consumes 12 spirit. 0.5 sec cooldown. Gather light energy in your hands and fire a beam with enough force to push you back 1.5m. The light beam deals 688\% damage to up to 8 enemies up to 10.5m in front of you. Consumes 6 spirit. 15 sec cooldown. Stir up earth energy, driving it toward the nearest enemy up to 8m in front of you and forcing the ground upward, dealing 308\% damage to up to 8 enemies withing a 2.25m radius. The massive quake will stun targets for 0.3 sec. Consumes all Mantra Cores. Skill effects are activated and enhanced in proportion to the number of Mantra Cores consumed. Consumes 5 spirit. 16 sec cooldown. Unleash the incredible power of Narubashan as explosive energy courses through your veins. This energy automatically forms into Mantra Cores every 4 sec for 20 sec. No more than 4 Mantra Cores can be created. 60 sec cooldown. Reverse the flow of nature's pure energy within a 7.5m radius, exhausting the vitality of up to 8 enemies within range, dealing 44\% damage, and reducing both defense and movement speed by 1\% for 10 sec. Consumes all Mantra Cores. Skill effects are activated and enhanced in proportion to the number of Mantra Cores consumed. Consumes 15 spirit. 30 sec cooldown. Channel the strength of animus to form 3 orbs infused with celestial energy and launch them at 8 enemies up to 8m in front of you. The orbs will explode upon collision, splashing celestial energy over the area and dealing 242\% damage to up to 5 enemies wihtin a 2.25m radius. Consumes all Mantra Cores. Skill effects are activated and enhanced in proportion to the number of Mantra Cores consumed. Consumes 4 spirit. 8 sec cooldown. Focus the strength of animus within yourself and amplify the Mantra Core's energy. Increases the damage of Expansion Blast, Energy Surge and Shooting Star (which activate when the maximum quantity of Mantra Cores has been achieved) by 3\% and increases the recovery of Healing Bond by 3\%. Gather energy from your surroundings to form and launch an orb at hte nearest enemy up to 7.5m in front of you. The energy orb explodes upon collision, dealing 179\% damage to 5 enemies within a 2.25m radius. Keep pressing the key to trigger a 2-hit combo. Gather a field of concentrated life force 6m ahead of you with a radius of 2.25m, lasting 3 sec. This field restores the health of up to 8 allies within range by 300\% of your magic attack and increases physical and magic resistance by 200. Increases the potency of Healing Bond by 4\%. While you are within the Font of Renewal, you are immune to knockback from standard attacks. 30 sec cooldown. Player-versus-Player combat arrives with the introduction of the Maple Arena! When you reach Lv. 50, you'll be able to open up the Maple Arena menu and queue up for a match, pitting you against your fellow Maplers in a 1-vs-1, best of three battle! While you can battle in whatever equipment you want, or none at all, you can gear up for PvP with ease via the Arena Shop. 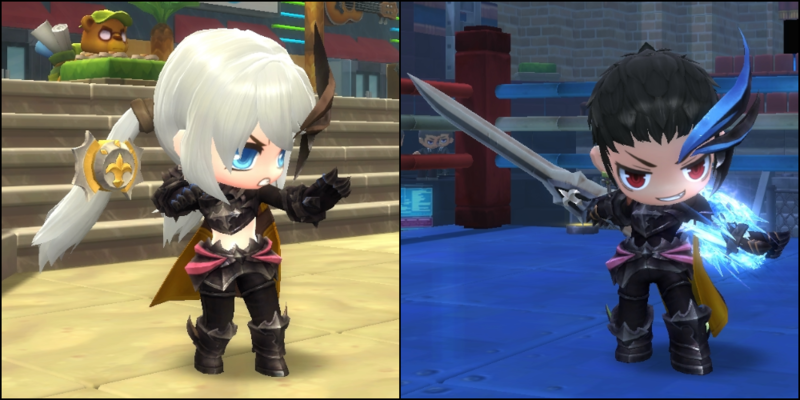 There you'll find special Arena armor, weapons and accessories, all purchasable for mesos. 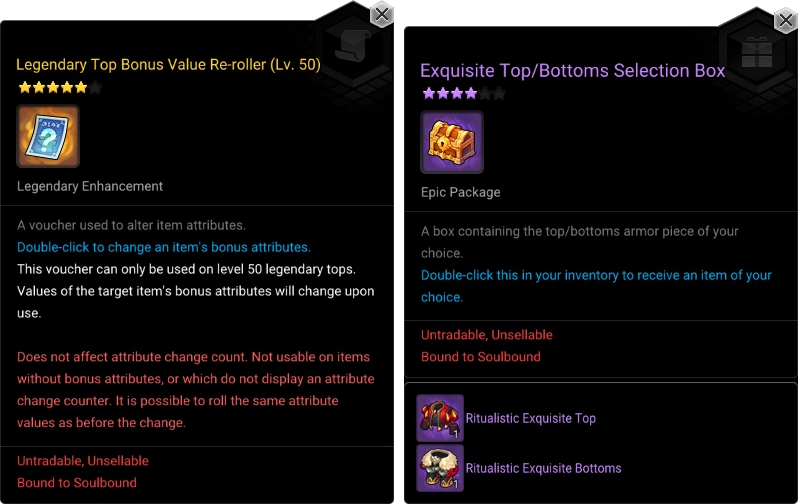 This Exceptional-quality gear cannot be enchanted, but will greatly improve your attack and defense while in Arenas and Battlegrounds, and a full set can be purchased for a total of 1,200,000 mesos. Your skills and performance will earn you weekly rewards of Valor Tokens, which can be exchanged into the Arena Shop for special items, including an Outfit set based on the Arena Gear and the special Tamed Pyrros Fard Epic ground mount! Prove that you're the very best, take a peek on top-ranked competitors through spectating and fine tune your abilities across the variety of crazy arenas! You can take a full dive into the details of the Arena in the Full Patch Notes here! 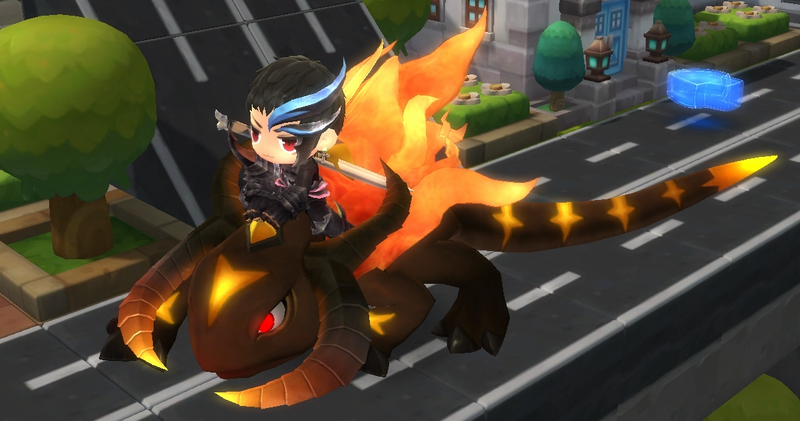 Are you looking for something to do with your buddies in MapleStory 2? Guild Raids are a brand new challenge made for teams of dedicated players that together are far greater than the sum of their parts. The Guild Raids have far more to do with coordination than combat, the skill of the group over the skill of the individual. These challenges include splitting up to gather resources in a hurry all across a large map, dividing yourself up between two areas, or a battle that slowly grows in frenzy and difficulty with your allies joining one at a time. Complete guild raids for special rewards including Guild Coins, which can be exchanged in your Guild House for a variety of items including special tools, useful consumables and the brand-new Silver Knightly Outfit! Raise the bass and find some ear plugs, because three new pieces of percussion are now available in Stefan's shop! 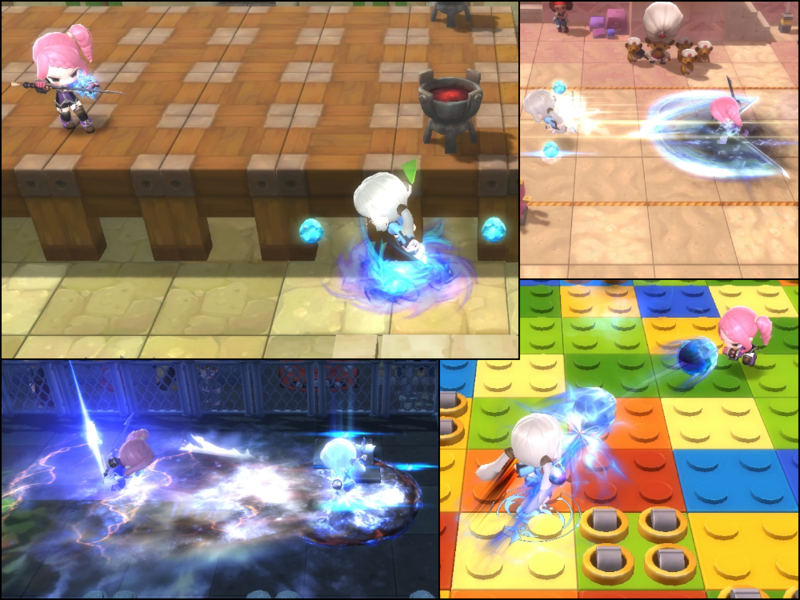 Get the Practice Big Drum, Practice Little Drum and Practice Cymbals from Stefan in Tria today for 100,000 mesos a pop! 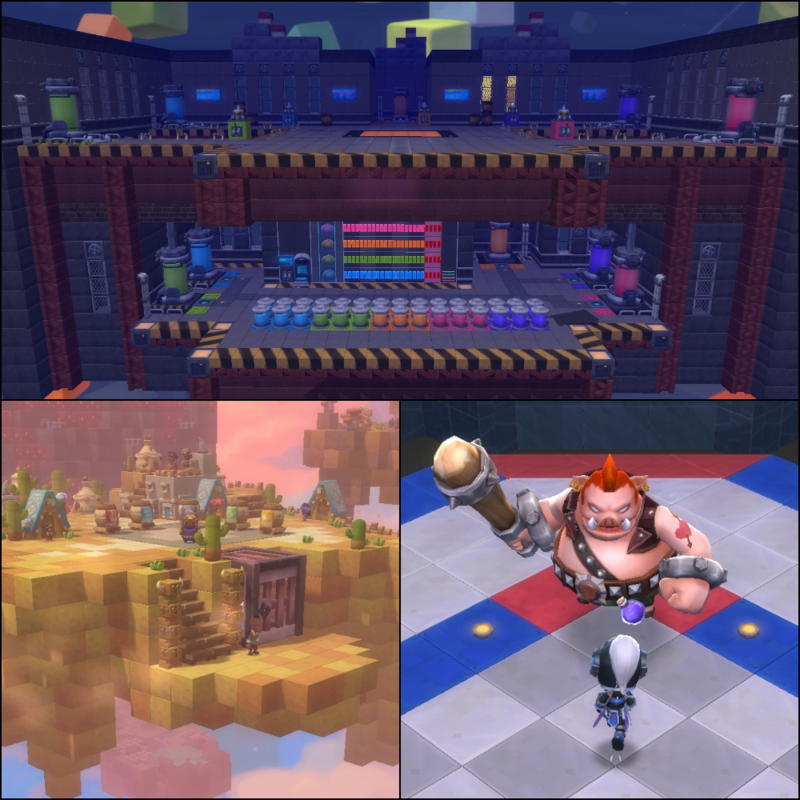 MapleStory 2 is only just finishing its second month of service, but we've been making so many changes to the core systems that we need a special post just to cover them all. 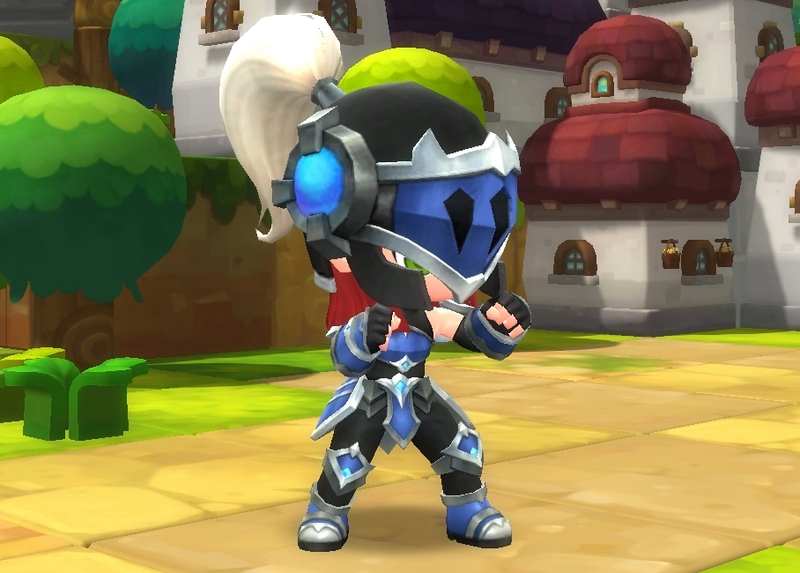 We've made a whole mess of changes in response to your valued feedback and harsh-but-fair criticism, and we hope that they will make MapleStory 2 the best game it can be. Learn more about the changes, including deeper dives into some of the more intricate changes that have come, in the Skybound Expansion Patch Notes post. Winter is upon us, the wilderness is dusted in snow (at least, for most of the northern hemisphere), and the holidays are upon us. 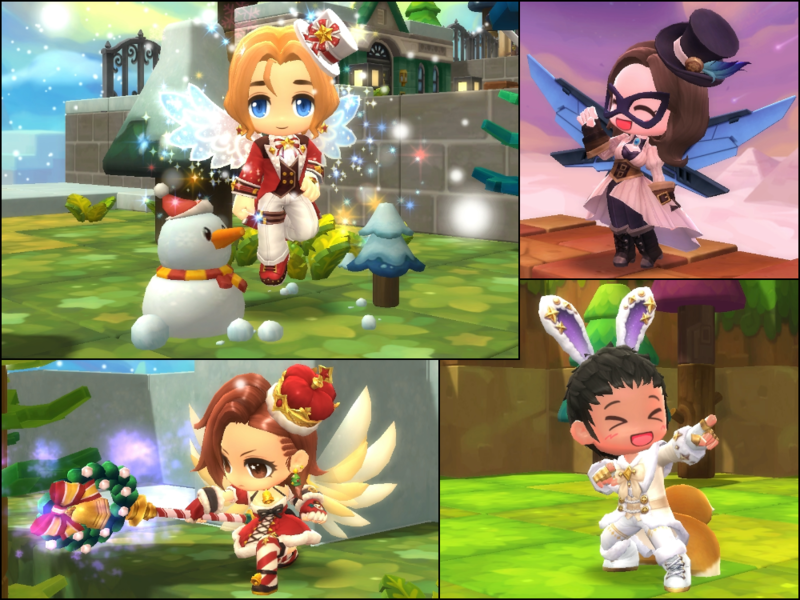 Join us in MapleStory 2 for special events to celebrate the season with more fun and prizes than you can imagine, as 2018 comes to a close! 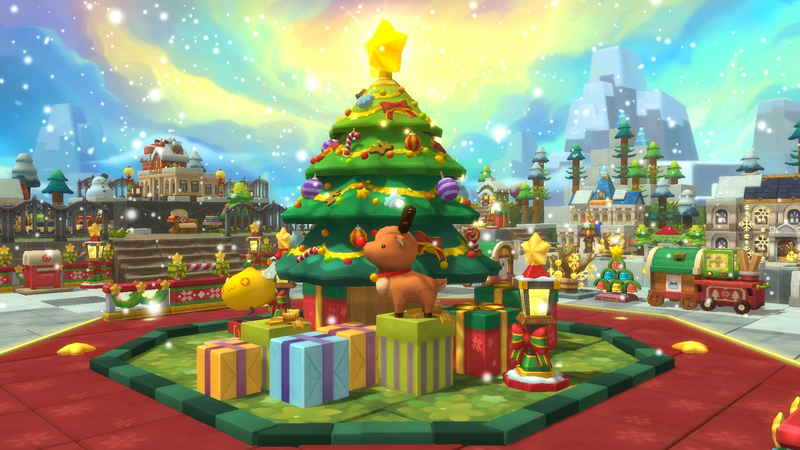 Learn more at the Maple Winter Wonderland post! December is here, the holidays are rapidly approaching and with the Sky Fortress aloft, the factions are looking for noble warriors to take up their cause. We have a bevy of sales for you this month, including an update to the Style Crate, packages with armor styled after each group on the Sky Fortress, adorable kittens and much more! Learn more in the Skybound Sales post, and take a peek at the new styles in the Style Crate Contents post!